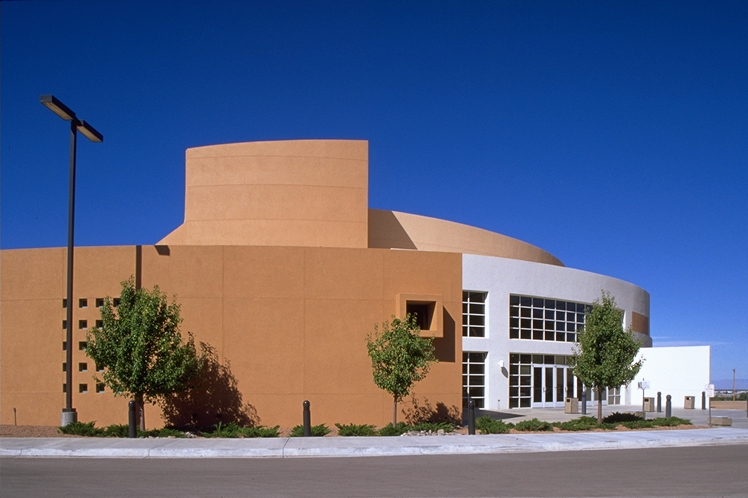 Located on the NMSU-Alamogordo campus, the project consists of 15,000 sq. ft. of new Adult Education Classrooms and Childcare classrooms. The facility includes a full kitchen for Childcare and also serves the concession stand for the existing gymnasium. 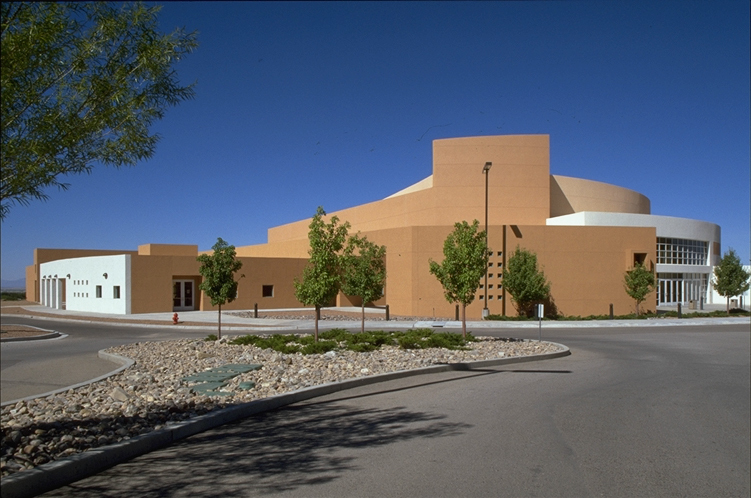 The owner felt that the exterior of the existing facility, a gymnasium and stage, was much too massive for the surrounding facilities and wished the addition to create a new scale. 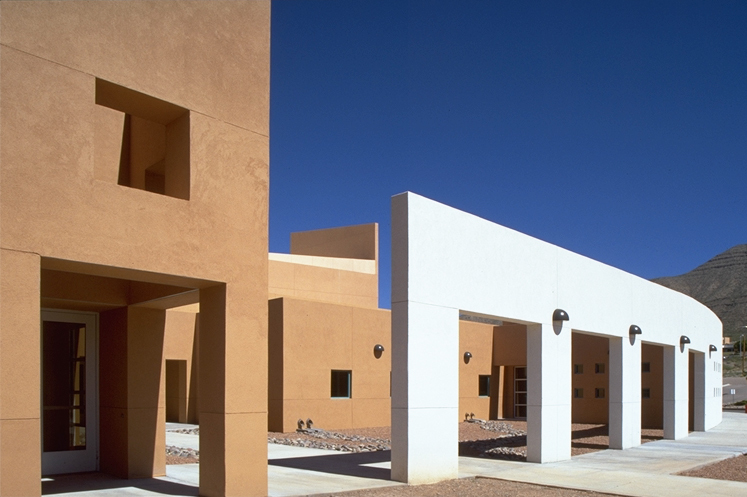 This was achieved by utilizing the long corridors as architectural elements. 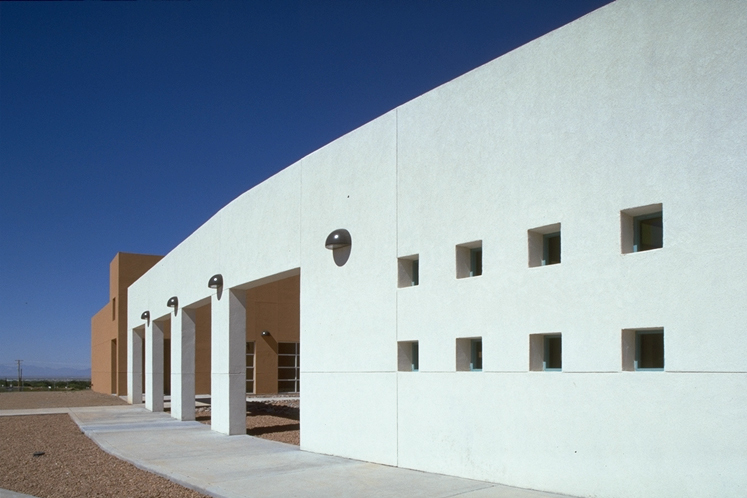 The Childcare corridor was designed as a raked plane from the high point of the existing facility to the low point of the Childcare entry. 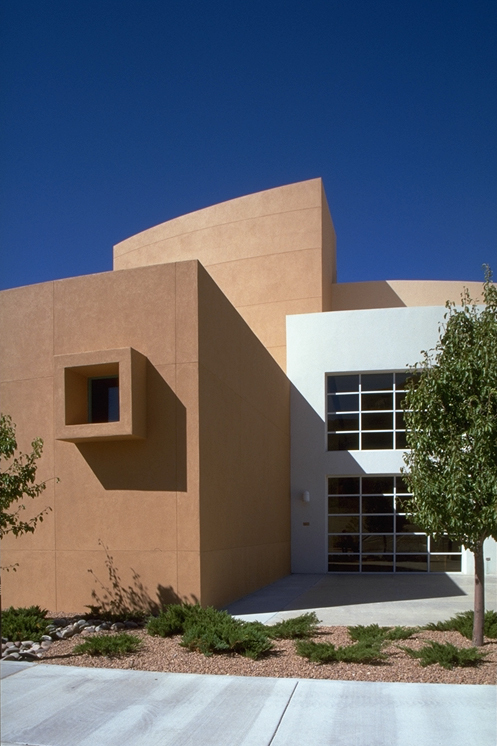 The Adult classroom corridor, which runs parallel to the existing facility, was kept at a higher elevation to accommodate clerestory windows that allow light penetration into the corridor. 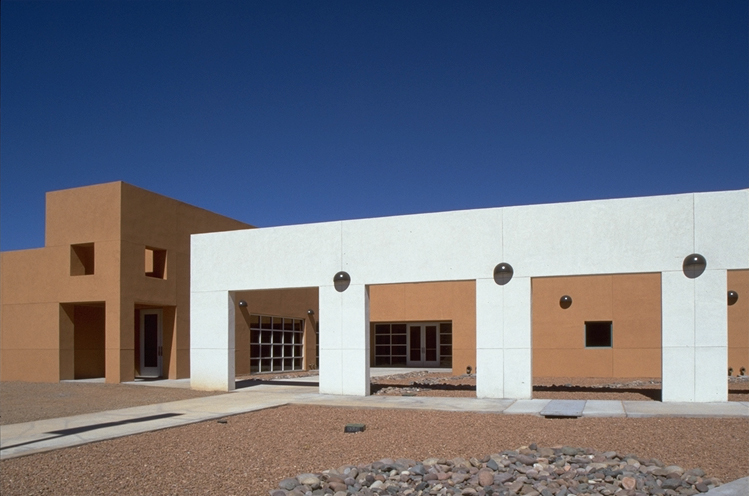 The various roof levels developed a series of scaled elements thus reducing the overall mass of the existing facility.